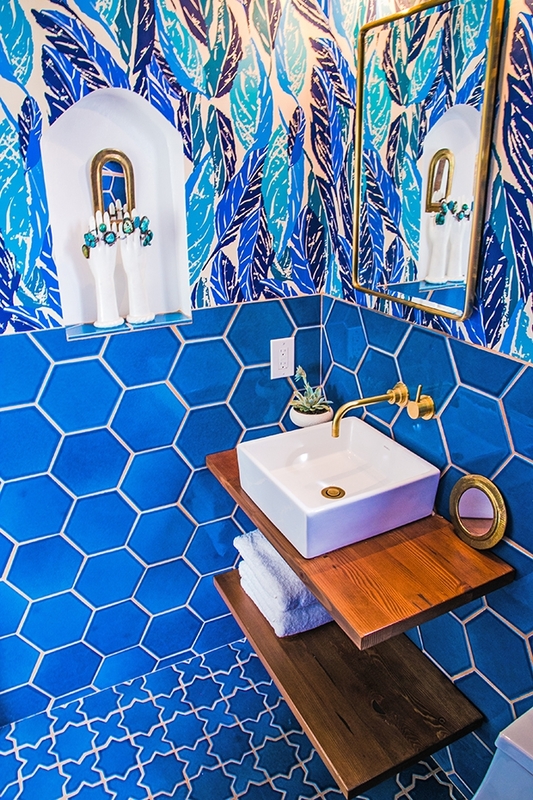 Not many designers can claim that their signature look has started a new design style trend but Justina Blakeney, one of our newest Celebrity designers, has always been an original. 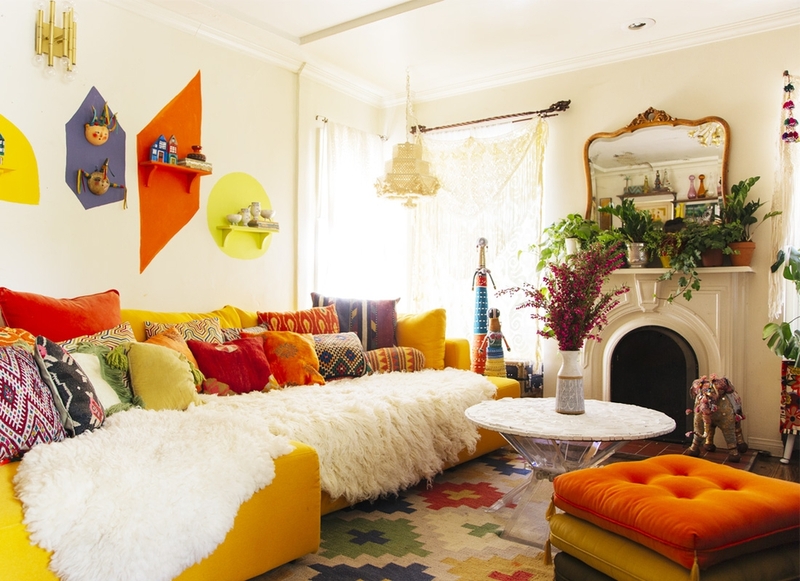 Justina's Jungalow Style - also the name of her blog - is taking the interior design world by storm and her signature look has come to stand for bold, vibrant and colorful bohemian chic. Justina will be featured on the cover of Sunset magazine's September issue. In light of her upcoming cover story, we wanted to celebrate her signature design style. From Justina herself, these are her 5 key elements you need to bring a little Jungalow Style into your own home. 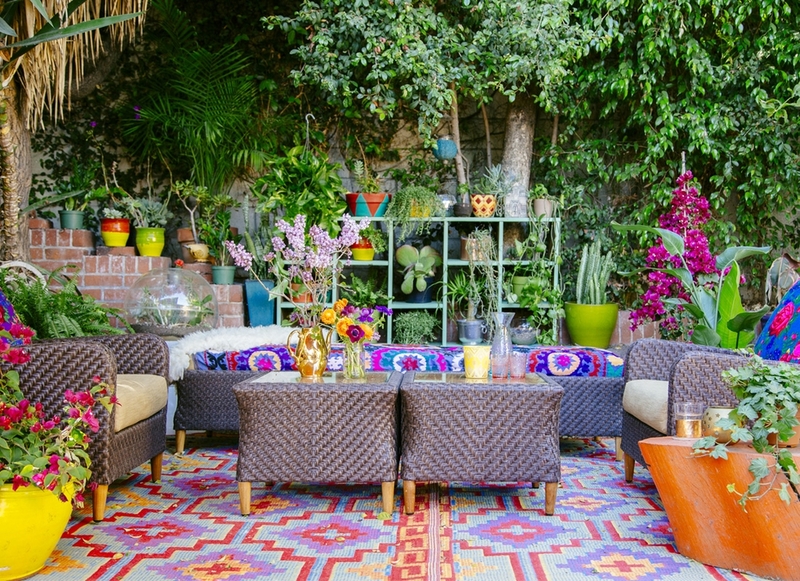 The first thing you notice about Jungalow style is the abundance of color, bright saturated hues in joyful and vibrant combinations. This is definitely not a look for the timid! 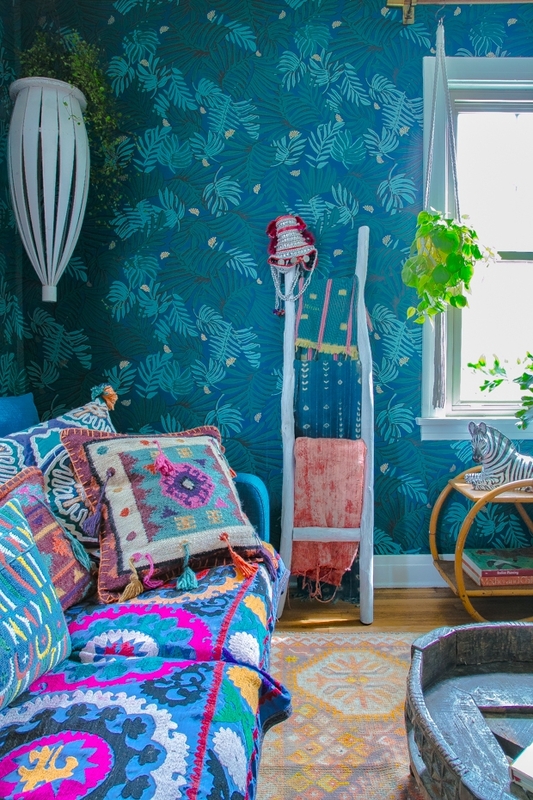 Bold graphic tropical prints, Aztec-inspired motifs, re-imagined vintage designs all combine into a pattern-on-pattern, more-is-more look that is unexpected, fresh and exciting. 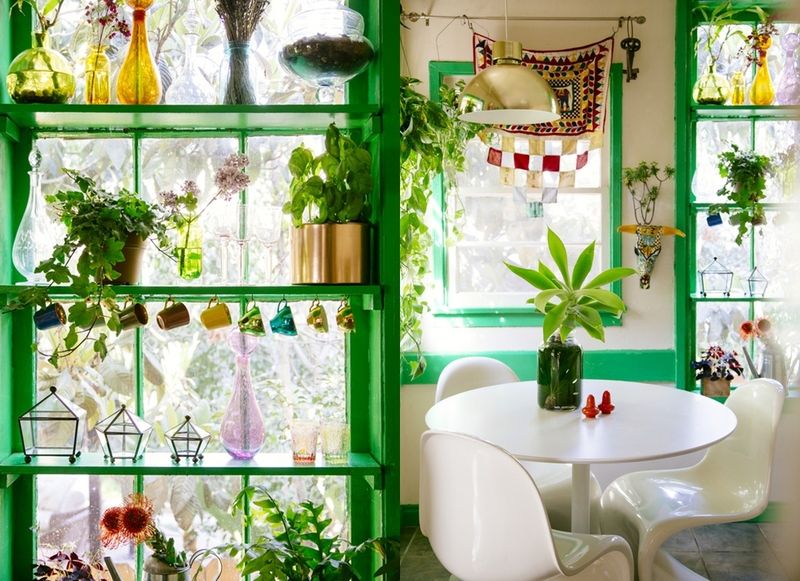 Plants are a prominent feature in Jungalow style, and the lush, abundant greenery helps bring life into the spaces. Justina's tip on awkward, underused corners: "Put a humongous plant right there!" The Jungalow look is one that effortlessly combines global elements and reflects the personal style of a well-traveled soul. Mix items old and new from all over the world. 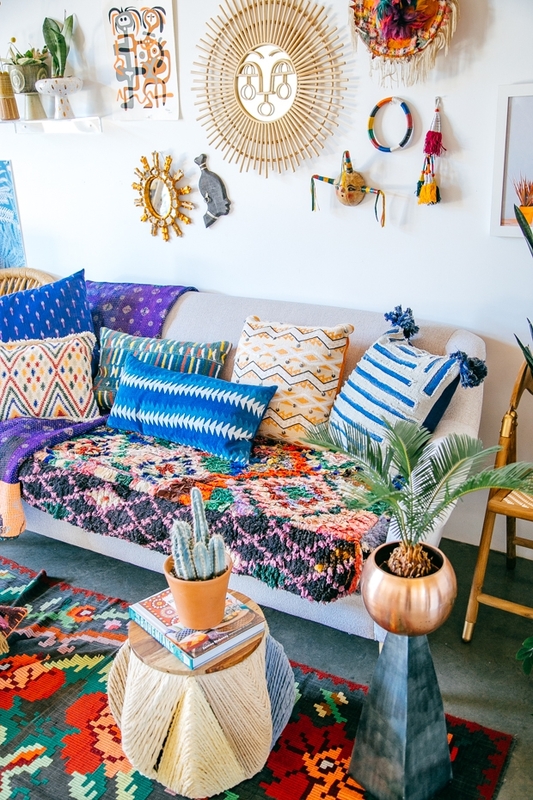 Mix Japanese ceramics with rugs from Turkey, pillows from Morocco, textiles from Mexico and let your style reflect your inner nomadic bohemian. 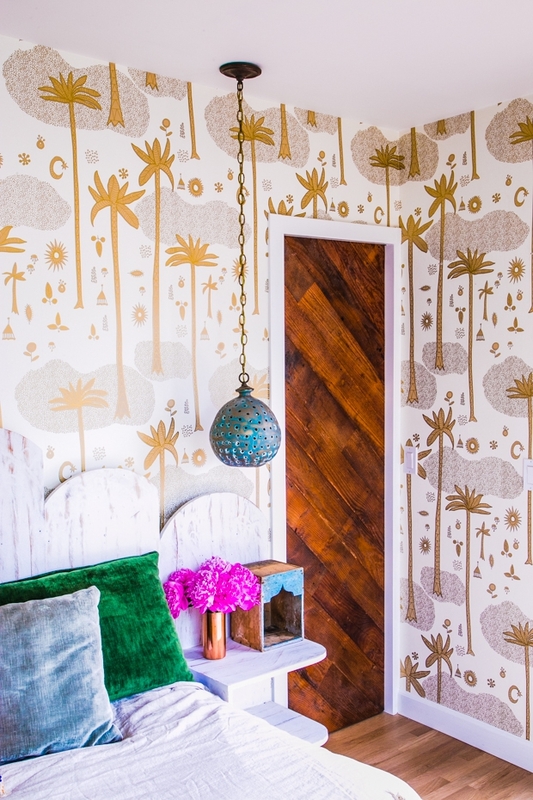 The best way to get Jungalow style, of course, would be to have the person who created that style in the first place, Justina herself, to personally design your room. Start a project and request Justina as your designer today! Happy decorating, and in Justina's words, "Decorate Wild!"